Did you know there’s a new form of natural chocolate out there in the world? It’s called Ruby Chocolate, and we just had to try it! In addition to milk chocolate, white chocolate, and dark chocolate, ruby chocolate has its own distinct flavor. It’s been available in Japan for a while, and there are ruby chocolate KitKats that are pretty popular. 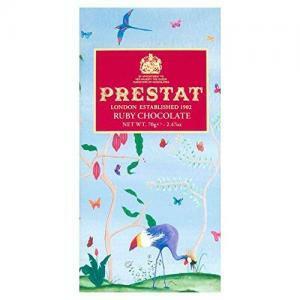 Prestat has a ruby chocolate bar, but other than that, ruby chocolate is not real easy to find. But now, Trader Joe’s has it in their retail grocery stores and online! 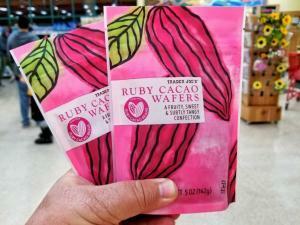 We tried the pretty pastel Trader Joe’s Ruby Cacao Wafers right out of the bag, and here’s what we found. The first taste our tasters reported was a subtle white chocolate flavor, immediately followed by sweetness and fruit (berry jam notes), then a bit of tanginess. The sweetness lingers for a while. The guys thought it was a little too sweet for their liking, but the women were fine with the level of sweetness. 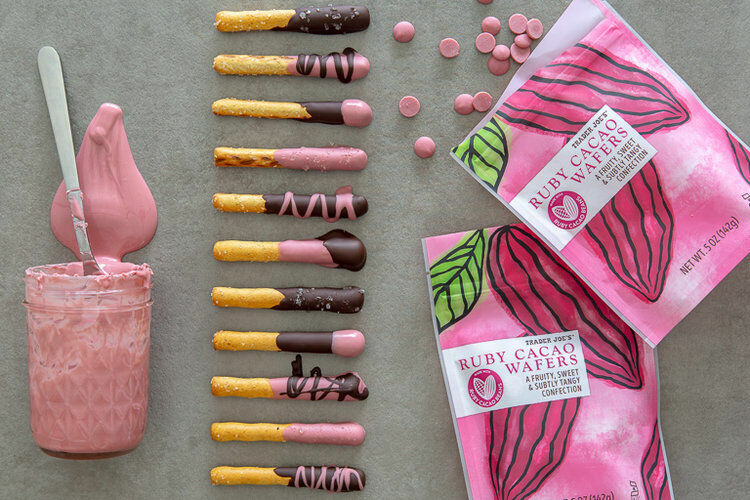 Most agreed that they would enjoy eating ruby chocolate, but in small doses, or mixed with a salty flavor, like the ruby chocolate dipped pretzel sticks shown above. The salt counteracts the sweetness nicely, and pretzels are a great textured vessel for a multitude of flavors. The wafers melt easily and are the perfect consistency for dipping. 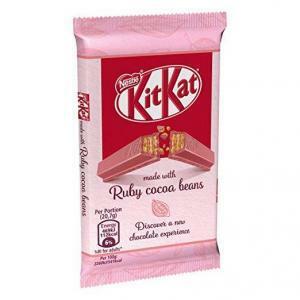 If you like your chocolate sweet with a hint of berry, you’ll love the new ruby chocolate! Let us know in the comments if you’ve tried ruby chocolate. Did you like it? Thumbs up or down? p.s. If you can’t find it in stores, you can get Trader Joe’s Ruby Cacao Wafers online here, but as of this writing there were only 2 left, so check back again. p.p.s. If you have a milk, dark, or white chocolate craving (and who doesn’t? ), check out the best selection of chocolates online!